Grace Coolidge Walk-In Fishing Area is a 3-mile (one way) hike along Grace Coolidge Creek in Custer State Park. The Coolidge Fishing Area Trail frequently crosses the creek, making wet feet a possibility. There are about 16 creek crossings that are aided with fallen trees or carefully positioned rocks when the water level is low. 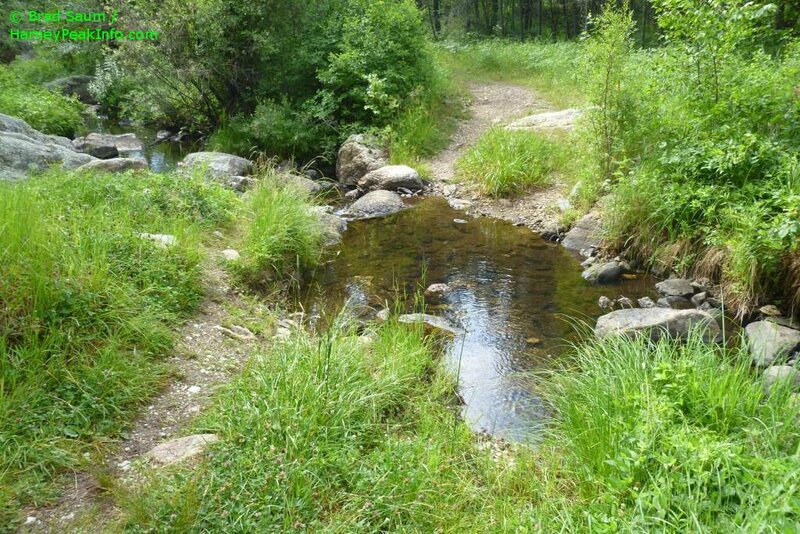 The Coolidge Fishing Area Trail meanders through the valley and along the creek and is predominantly an easy walk. The northern section near Center Lake has an incline that is moderately difficult. Allow about three hours for the 6-mile roundtrip hike that includes a return trip along the same trail. Grace Coolidge Walk-In Fishing Area is popular for fly fishing. There are several low level dams constructed along the creek that provide pools that are routinely stocked with trout. Bur oak and Ponderosa pine provide shade for the majority of the trail. The distinguishing white bark of the aspen are speckled along the creek bed. The creek was named in honor of First Lady Grace Coolidge, wife of President Calvin Coolidge. The Coolidge Fishing Area Trail generally follows the creek for the majority of the length of the trail.